So what is the best way to learn Chinese? Learning Chinese can be a challenge, especially if you are a beginner. Some argue that it is a complex language and, indeed, one of the most difficult languages to learn. Others insist that is is one of the most logical languages and is in fact quite easy to learn, especially if you are an English speaker. Whichever camp you fall into, you’ll certainly need time and determination in order to learn how to write and speak Chinese fluently. 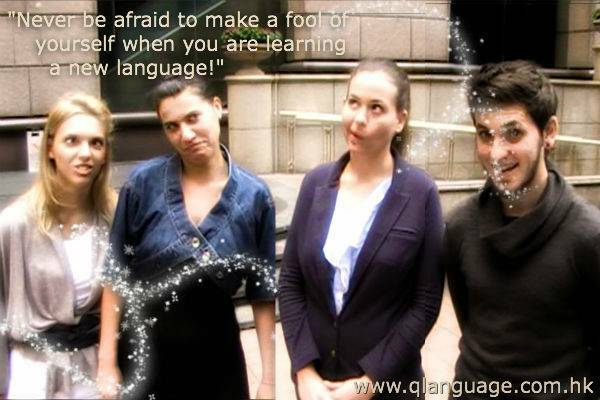 At Q language, we would of course encourage you take one of our Chinese courses here in Hong Kong but recognise that this may not be possible for you at this moment in time. With this in mind, we have compiled a few simple tips to set you on the right path to learning either Mandarin or Cantonese Chinese. 1. Decide Whether to learn Mandarin or Cantonese. Decide first whether you want to learn Mandarin or Cantonese. Both dialects share the same syntax and grammar and some words are pronounced exactly the same, so if you learn one it will be fairly easy to pick up the other in a short space of time. However, if it’s the written as well as the spoken language you’d like to master, Mandarin is probably your best option. Cantonese is a spoken dialect and most written materials, including those produced in Hong Kong, are in standard Mandarin. Spoken Cantonese can be and is written sometimes but it’s not standard and resources are perhaps somewhat limited. 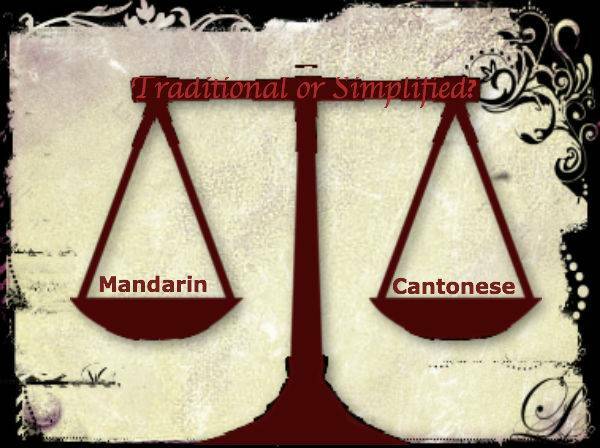 Here is a good You Tube video that illustrates some of the differences between Mandarin & Cantonese Chinese. When it comes to Mandarin Chinese, the first and most important thing you need to consider is whether you want to learn the traditional or the simplified alphabet. Simplified characters refer to about a third of the traditional characters that have been modified to be written in a simpler format. These characters were added around the 1950s with the sole purpose of increasing literacy rates. It is a lot easier to learn the simplified characters as they are widely used in Mainland China. Places like Hong Kong, Taiwan or Singapore still use traditional characters but the use of simplified is becoming more prevalent especially in education and business. On the other hand, if you take the time to learn the traditional characters, it’ll be easier to understand the simplified characters than the other way round. To summarise, simplified Mandarin Chinese is ideal for beginners. You should always aim to learn phrases as opposed to isolated words. It would take decades to learn all the Chinese words ( for further information on the estimated number of Chinese words see this blog post). Besides, you will certainly find focussing on phrases much more beneficial than learning words in isolation. Just like in any other language, Chinese words can have multiple meanings; this is why it is important to learn vocabulary in context. You need to pay careful attention to the tones. Cantonese and Mandarin Chinese are both tonal languages (or dialects). Therefore, it is essential to focus on this and develop the habit of listening for tonal distinctions and producing them correctly in speech. Tone can radically change the meaning of the word, which can lead to poor communication and (sometimes embarrassing) misunderstandings. Try to focus on getting those Cantonese or Mandarin tones correct right from the start! For further reading on the importance of tones read this. Choose the most suitable learning style for you. People learn Chinese in different ways, and in order to find the best learning style for you, it is highly recommended to try several different programs or methods. Of course, we would always encourage you to come to Hong Kong and take up one of our excellent Chinese courses but, as previously mentioned, we fully recognise this won’t be possible for everyone. You can study on your own with books and language learning CDs or you can learn using various online tutorials and specialised courses with well-trained teachers. I’ve even heard of people setting up a QQ instant messenger or Skype account and finding people across China or other parts of Asia who are willing to chat and help them practise their conversational skills. You could also learn a great deal by utilising the resources on excellent websites like, BBC Languages – Chinese. Plus, I’m not sure if World Lens, as seen in the video below, has a Chinese language option yet, but if not, it will do soon no doubt. Update: Apparently World Lens has now moved to Google Tranlslate App. Listen to as much Chinese pop music as you can. Getting to know Chinese music breaks down barriers and helps you learn more about Chinese culture and language. You can also expand your vocabulary by paying close attention to the lyrics of a song. Try singing along to the tracks whenever possible as this will help you improve your pronunciation. Fill your MP3 player or mobile phone with as many Chinese pop songs as you can and you will be able to practice wherever you are, situation permitting. If you are unsure of which Chinese artistes to listen to, you could read this blog post here, which recommends eight bands to help you learn Mandarin Chinese. 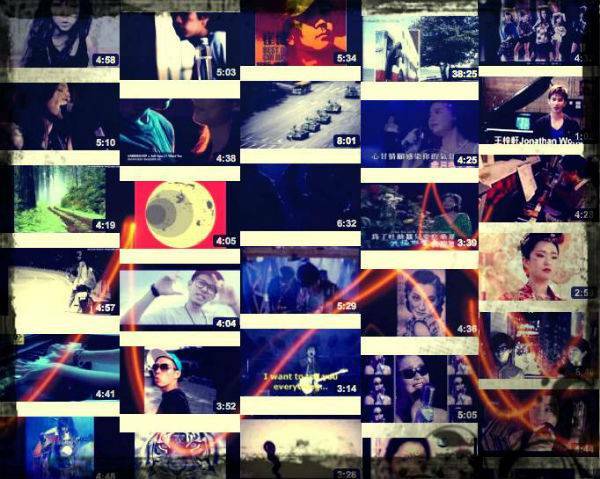 You could also checkout Canto pop music by artistes such as: Eason Chan, Joey Yung, Kay Tse. JJ Lin, William Chang, Charlene Choi Leo Ku, and Twins. There are no doubt many other great Chinese artistes not listed here and we invite anyone reading this post to tell us about them in the comment box below. For more information regarding Canto pop, checkout this wikipedia entry. Focussing on spoken words is actually one of the most useful tips when it comes to learning Mandarin or Cantonese Chinese. Children learn a language by simply listening to words spoken over and over again. You can listen to various Chinese recordings or conversations and try to reproduce the dialogue (provided that you know what is the dialogue all about, of course). One of the common mistakes that language learners make is to focus primarily on writing rather speaking. Be sure to get lots of Chinese speaking practice and work on your pronunciation, as bad pronunciation is harder to correct later. Again, get those Chinese tones correct right from the outset! Do not rely solely on one material when you want to learn Chinese. Try several different materials, since some materials may be easier to comprehend than others. This should not be a problem, given the abundance of learning materials available in good book shops, on the Internet or just by taking a look around you if you are in a Chinese speaking country. Explore all kinds of materials: Chinese podcasts, Chinese comics, Chinese Chinese magazines, Chinese newspapers, Chinese books, Chinese street signs, etc. In a nutshell, if it’s produced in Mandarin or Cantonese, use it to expand your understanding of Chinese language. As stated above, this is a challenging language, therefore it requires dedication, ambition and a fair amount of your precious spare time. Studying the alphabet and learning some basic phrases once in a while will not help you learn the language properly, therefore try to dedicate at least 15 or 20 minutes daily to studying Chinese. Dedicating time slots little and often can generally yield better results than one long drawn out learning session once a week. 10. Immerse Yourself in the Chinese Language. Immersing yourself in the Chinese language will probably yield the greatest results. Travel to cities like Beijing, Shanghai, Taipei or, preferably, Hong Kong (we are slightly biased), where you’ll hear the sounds, rhythms, and inflections of the Chinese language spoken at the local markets, on public transport or in restaurants. The more you expose yourself to a language, the more you will soak it up, naturally and quickly. Travelling to a city where Chinese is widely spoken will also keep you motivated. See our Discover Hong Kong post to get a good overview of the sites and sounds of Hong Kong. 11. Watch Chinese Films & TV Shows. There are a lot of fantastic Mandarin movies from China, and Hong Kong, which has the third largest film industry in the world, has produced a lot of good (and some not so good) film and TV productions over the years. Obviously, English subtitles will come in handy for English speakers so try to choose a something to watch that offers subtitles in English or better still subtitles in your native language. You won’t always understand everything and even subtitles can be somewhat inaccurate but it will help you get used to the feel and sound of the language and will enhance your overall language learning experience. If you are not too sure which Chinese movies to start with, here is a good article featuring a list of the greatest Chinese movies ever according to imdb.com. 12. Don’t be Afraid to Make a Fool of Yourself. Agreed, it’s sometimes easier said than done, but try not to be shy of making a fool of yourself. Those who adopt a bold attitude when learning any new language progress much faster than those who are afraid to make mistakes. If you learn a new word or a new phrase be sure to practice it on a native speaker. If you get it wrong, they will be only too happy to correct you. Sure, you will make plenty of mistakes and at times feel a little ridiculous but that is all part of the fun and all part of the learning process. Adopt a positive and humorous attitude to your errors and you’ll make great headway. 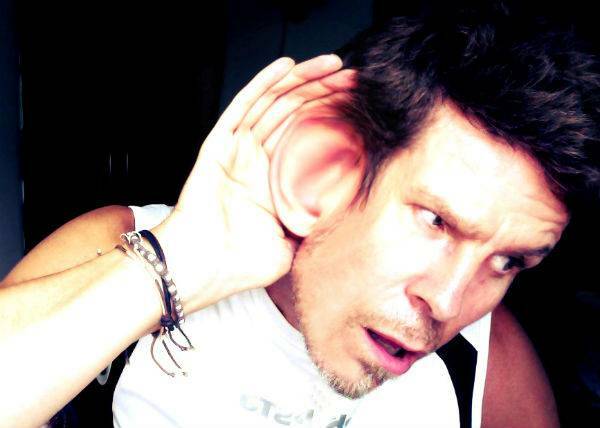 Clam up, berate yourself or shy away from practising what you have learned and your progress will be slow. Before you start your journey to master a Chinese dialect, you must set achievable and measurable goals. This will help you to stay focused and motivated. Figure out a way of measuring your progress and get specific about what it is you want to achieve. For example, is it just basic conversational Chinese you want to master or are you looking to become, say, a professional translator? Obviously, there is a big difference in the time and commitment needed so you need to decide on specific, measurable attainable, realistic and time based goals. So there you have it! Get specific about learning Mandarin or Cantonese and decide whether you are going to master the simplified or the traditional alphabet. Aim to learn phrases instead of single words and really get focussed with Chinese tones. Set regular concentrated study periods and get plenty of speaking practise and remember to utilise all kinds of different learning resources. Think also about travelling to a Chinese speaking country and immersing yourself in the language. Finally, as with anything in life, set goals, be bold and, above all, have lots of fun! 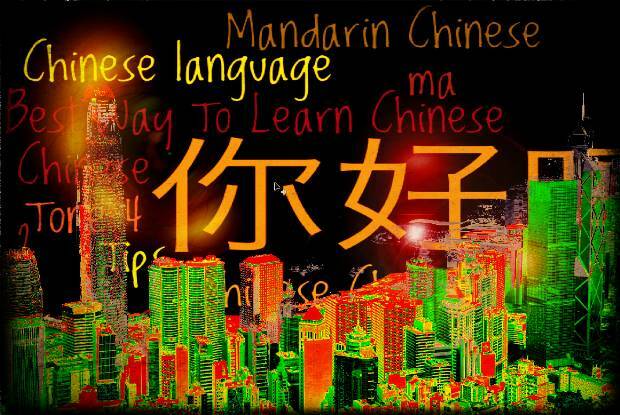 Learning Mandarin Chinese Is Easy – If You Are Prepared To Work At It! Very useful advice of learning Chinese, thanks. Thank you, tracy, we’re glad you like it. Point One: Decide Whether to learn Mandarin or Cantonese. For new learners, I definitely suggest to take Mandarin as first choice. Not only because it’s easier, but also in that it helps you to be able to communicate with more people. People in the Mainland China speak Mandarin – we are talking about 1.4 billion people. Yes people in Hong Kong speak Cantonese – but you can still survive and easily navigate in this city with Mandarin or even English.